I’m always looking for new ideas for tabletop vignettes. 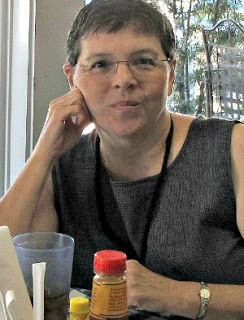 There are so many talented bloggers out there who have wonderful ideas. So I’m checking some of them out. I love the tray with the various vintage framed photos above. 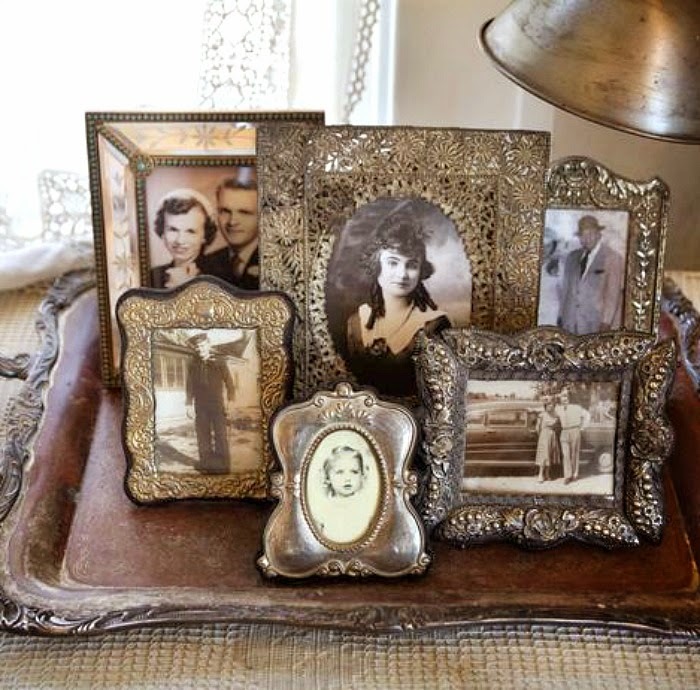 The differing antique frames is what is most beautiful about this particular vignette. Ann Sutton is very talented at arranging vignettes. I love her home and her style. She always comes up with wonderful color combinations that don’t overwhelm a space. Here’s a nostalgic nod to all things French and vintage. 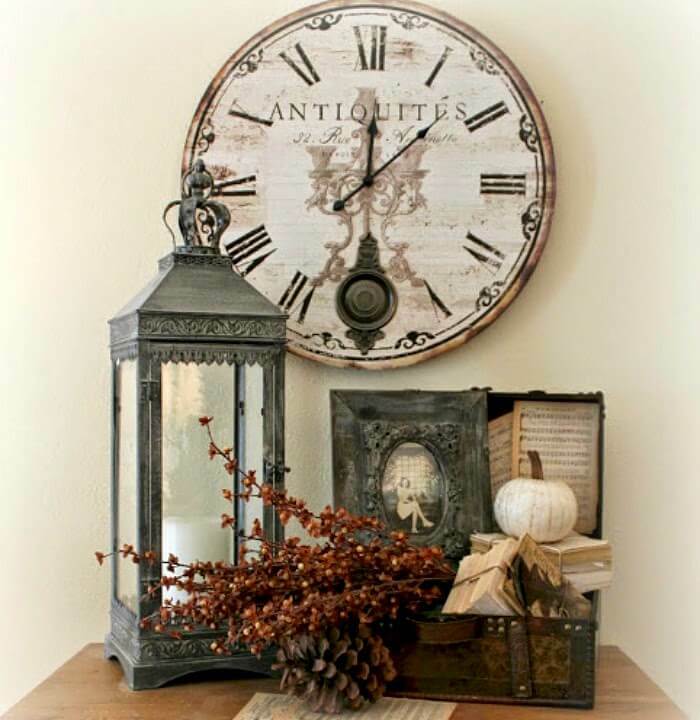 The French clock looks down on a lantern with a candle, an antique framed photo, and various fall-themed pieces of decor. I like all the elements used on this coffee table. It has color, patina and texture. The wooden horse adds height. 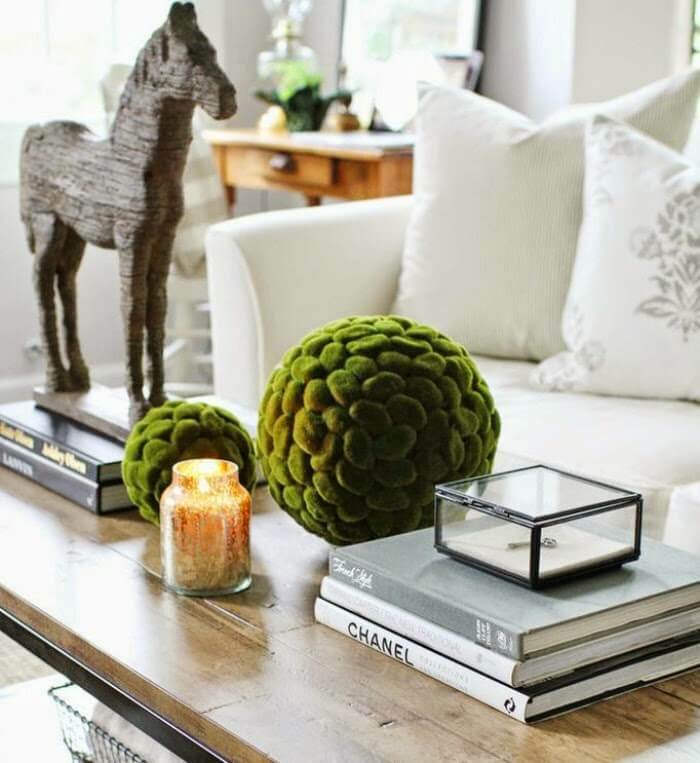 The moss balls bring color and texture to the coffee table. 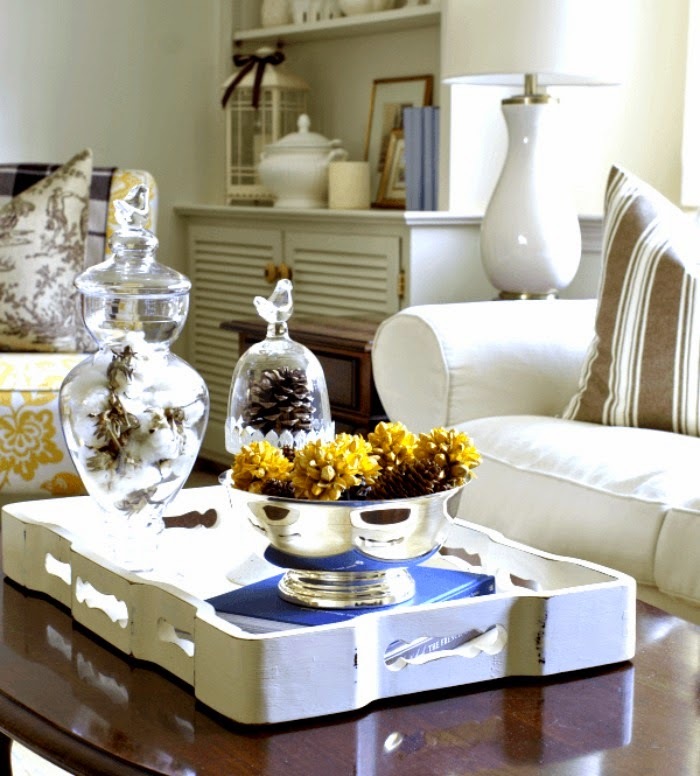 Add in a candle and books and you have an artfully arranged style for your coffee table. 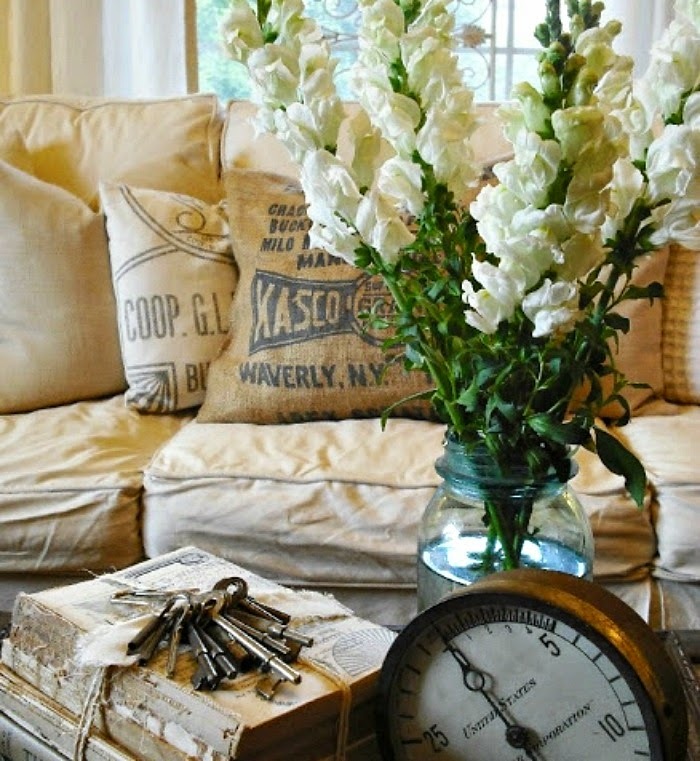 Fresh flowers, old books, vintage keys and clock, and typography pillows makes for a neutral farmhouse look. The ring of old keys and the Mason jar of flowers brings in a bit of nature. The clock adds a bit of whimsy. 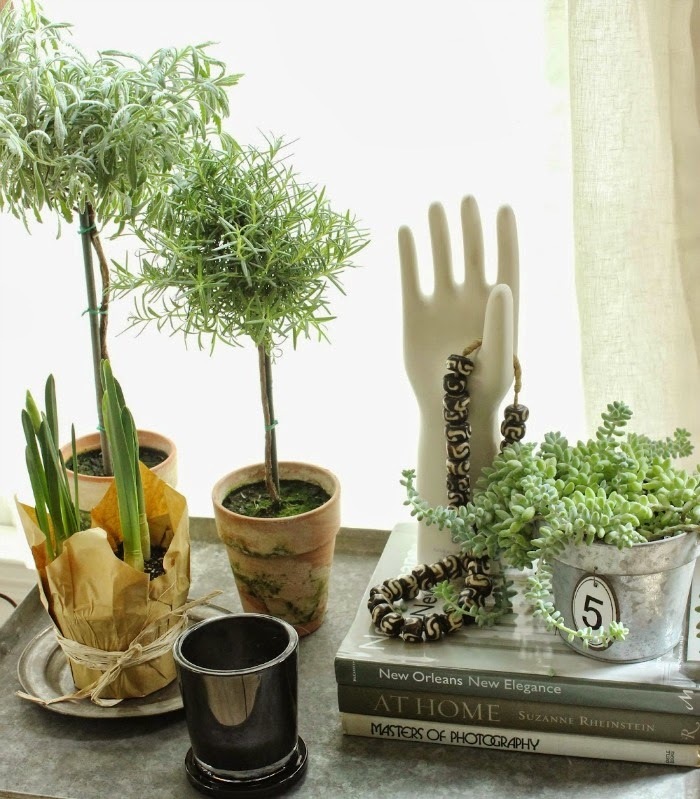 Greenery always looks great in a tabletop vignette. The same goes for books. And if you want to put them together, you could put a plant on top of books to add height. The plants are all varied heights, drawing the eye with greenery. The spring bulbs add something a bit different. The hand on the stack of books is the whimsical touch that make a vignette come alive. I like to put things down on my surface, then edit. Add and edit. Finally I will achieve a look I am satisfied with. I hope you got some ideas for your next tabletop display from these photos. I love all the table top vignettes you picked out! Thanks for sharing them! Lots of great ideas there! Creating these vignettes is a real art. I was in Goodwill a few days ago when I saw an English pitcher in a ladies cart. It was so beautiful, I asked her what she was going to do with it. She said she designs tabletop vignettes, some smaller some larger, and sells them. I love these. I have a silver plated tray that I never use and a few silver frames so I'm going to copy that idea! And it makes me wonder why didn't I ever think of it? 🙂 Thanks, Brenda! Every one that you featured is a beauty! I'm pinning away! Those are all so pretty! I have that same horse statue as the one in picture 4. I never thought to use it on my coffee table before! I have some old keys & old books…. I also like the frames best! A lot of take-away ideas here! I especially like the old books and keys tied together along with the mason jar and scales dial–a very interesting arrangement. Thanks for posting these vignettes! !